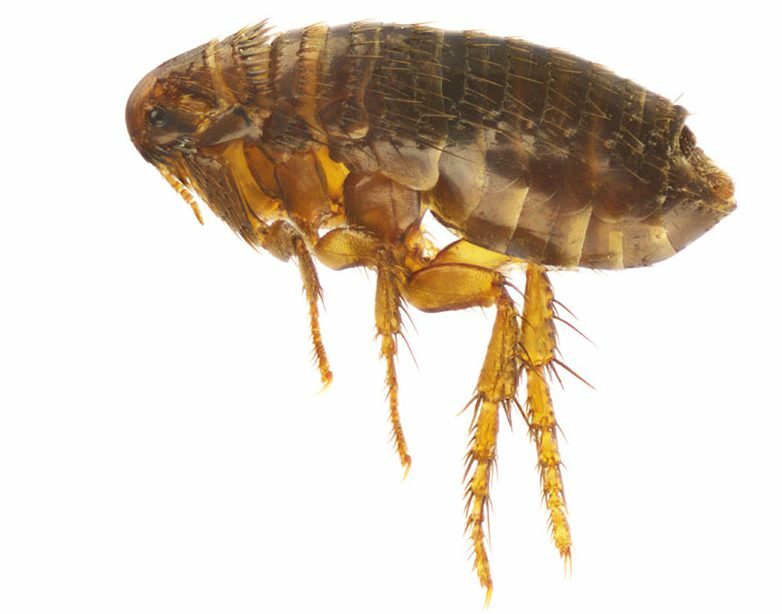 Although there are different types of flea in the UK, the most common seen is the cat flea, frequently seen in London and the South East. All adult fleas are parasitic and feed on the blood of humans and animals. Females lay eggs after feeding, which in their life span of 2 years can mean as many as to 1000 eggs – it’s for this reason that flea removal is so difficult and you’re best off calling in experts to ensure it’s dealt with effectively. Although on average only 2mm in size, fleas can carry carry diseases and multiply very quickly. The technique we use for flea extermination is a safe and practiced method that will rid your home of fleas completely. As well as affecting your animals these parasites spread onto human skin and cause nasty bites, causing the appearance of red spots that become very itchy. Here at Envirosafe Pest Control Ltd, our flea control methods include a full inspection of the property, which gives us the insight to decide which insecticide to use to treat the affected areas. Our flea extermination experts can help rid you of your flea infestation and give you advice on maintaining a flea free home for the future. The necessary treatment for infested properties is a safe and lasting insecticide which comes as a powder or spray. Applied to every floor surface in your property, these areas will need to be left unwashed for a minimum of two weeks to make sure your insecticide treatment is completely effective. We include a 30 day guarantee with our flea extermination services. For full details, please look at our terms and conditions page. For information regarding flea control, you can get in touch with us using the contact form below.